Espire Blogger Template is a multi-purpose, clean, creative, fully responsive and powerful blogspot Theme. Our theme has included multiple featured widgets, powerful theme options panel, highly SEO optimized, 3 types of comment widget, many elements, Google Font and fontawesome. Great modern design and Powerful features makes Espire irresistible. 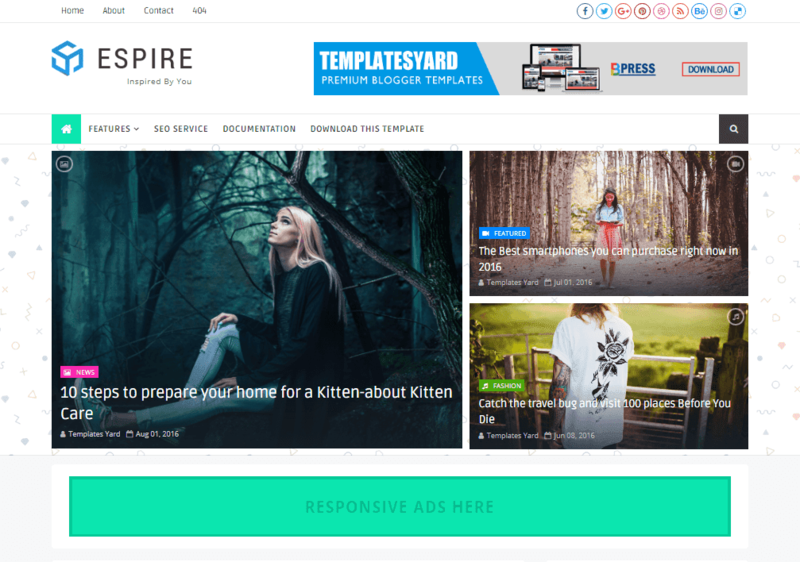 Espire is the best choice for you to create a business, creative agency or personal, photography or a blogging website. This theme is a true multipurpose theme and could be easily adapted to suit any project.